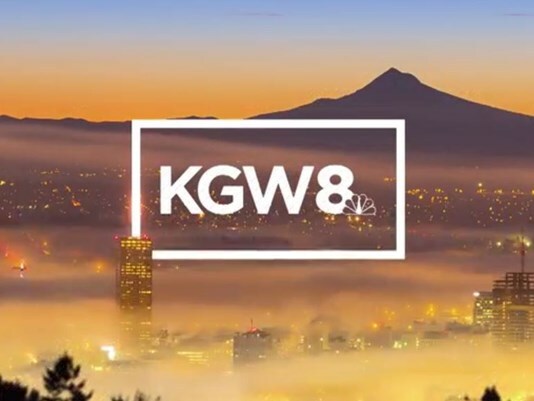 Tegna stations continue to roll out the station’s new graphics package, with KING and Seattle and KGW in Portland, Oregon rolling out the new look this week. 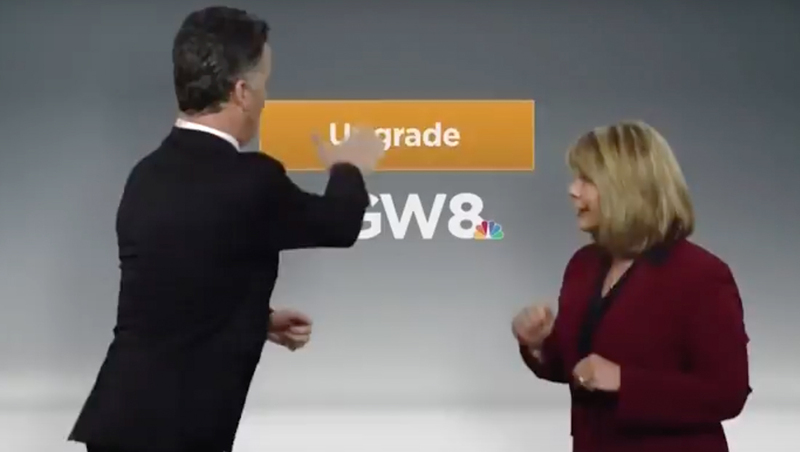 KGW’s launch, however, is notable because of the promo it produced, showing anchors Tracy Barry and Joe Donlon standing in front of a gray background with the station’s logo and an orange “upgrade” button. 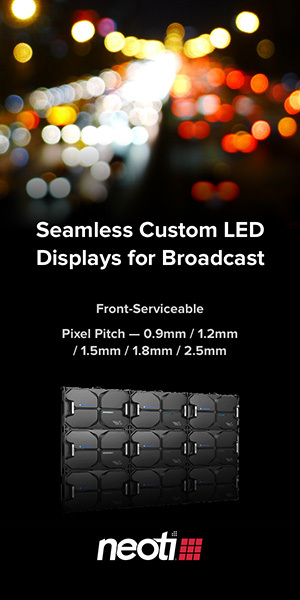 They debate “pressing” it until Donlon finally takes the plunge and presses it — and that’s when they become surrounded by a colorful array of the new look.